Inflammatory bowel disease (IBD) is a medical term that describes a group of conditions in which your bowel (also called your intestines) becomes inflamed (red and swollen). The two major types of IBD are Crohn's disease and ulcerative colitis. Ulcerative colitis only affects your large bowel (colon, or large intestine). 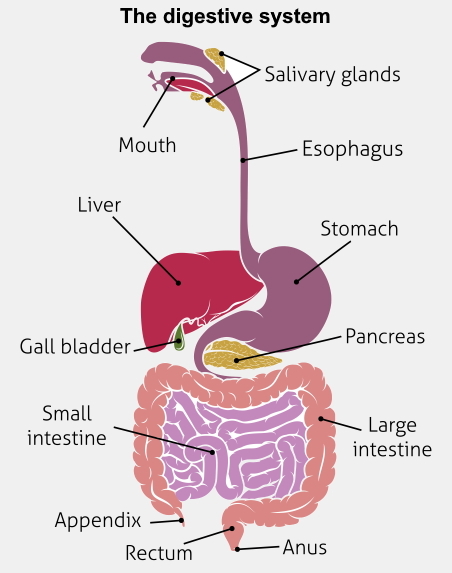 Crohn's disease can affect any part of your digestive tract but most commonly affects the last section of the small bowel (small intestine) and the large bowel. It is sometimes difficult to tell the difference between the two main types of IBD. If this is the case, it is known as IBD unclassified (IBDU). Inflammatory bowel disease (IBD) is not the same as irritable bowel syndrome (IBS). Irritable bowel syndrome is a more common condition and unlike IBD, it does not make your bowel inflamed. As well as causing inflammation in your bowel, IBD can sometimes cause inflammation in other parts of your body. For example, it can cause joint inflammation and pain (arthritis), skin rashes, mouth ulcers, night sweats, or red and inflamed eyes. The symptoms of IBD can come and go. You may have periods of severe symptoms (flare-ups), and periods when you have few or no symptoms at all (remission). To find out if you have IBD your doctor may examine you, ask you about your symptoms, and discuss your family history and overall health and lifestyle. You may need to have a blood test and provide a stool (poo) sample. These tests also help to rule out other conditions, such as such coeliac disease and irritable bowel syndrome, which can have similar symptoms to IBD. Your doctor may refer you to see a gastroenterologist (gas-tro-en-ter-ol-o-gist) at Christchurch Hospital. Gastroenterologists are doctors who specialise in treating stomachs and bowels. You may have a test such as a colonoscopy or gastroscopy – you won't have to pay for this, but you may have to wait to have it. If you prefer, or if you don't want to wait, you can pay to see a gastroenterologist privately. You can search for a gastroenterologist on Healthpages. Website of Crohn's and Colitis New Zealand. Includes information about IBD and links to resources. This page provides information about ulcerative colitis, including causes, symptoms, and diagnosis. This page provides more background about the causes of Crohn's disease, symptoms, and diagnosis. In this short video, Dr Mike Evans explains the differences between Crohn's disease and ulcerative colitis, the symptoms and treatment for both. Written by HealthInfo clinical advisers. Endorsed by GP liaison, Gastroenterology, Canterbury DHB. Last reviewed April 2019.